It's been a busy royal year and as 2018 draws to an end, it's time to look back at the major moments that marked the regal calendar across Europe. From babies to weddings and the sad loss of familiar faces, it's been a packed twelve months. Here's Europe's royal A-Z for 2018. 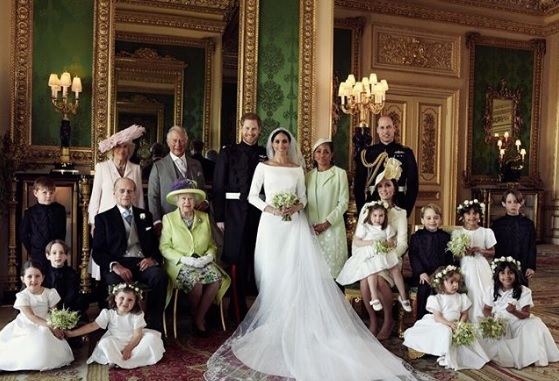 ...is....Harry and Meghan's official wedding portrait. 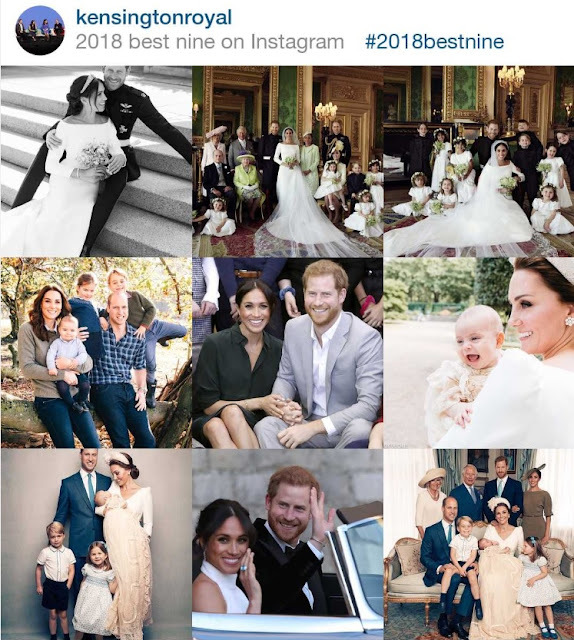 The image of the couple, taken by Alexi Lubomirski, topped the likes list on the Kensington Palace Instagram account and across all royal social media channels for 2018. And the final rundown of the Windsor winners provides an interesting insight into what royalty means today. 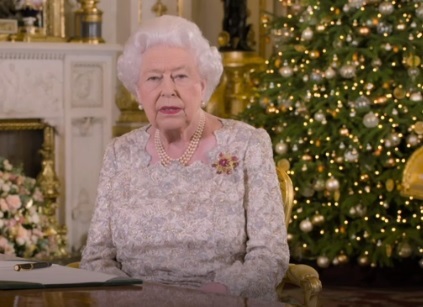 The Queen's Christmas speech has topped the TV ratings for 2018. 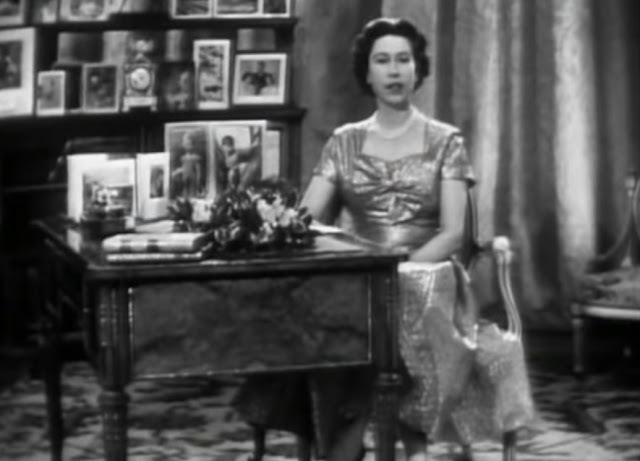 HM's message of goodwill was watched by 6.4 million people on the big day itself when audiences on BBC, ITV and Sky (which produced this year's speech) were combined. 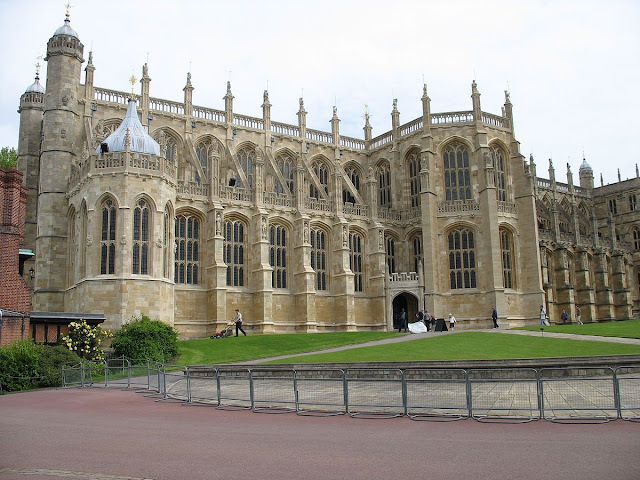 The ancient royal chapel of St. George's at Windsor is to host its third wedding in twelve months. It's just been announced that Lady Gabriella Windsor, daughter of Prince and Princess Michael of Kent, will marry there in 2019. Here it is, in all its winter glory, the palace the Queen is leaving behind. For Christmas, that is. The festive period is well and truly on its way as HM has hopped on the train on her way to Sandringham. The Christmas decorations are well and truly sparkling at Buckingham Palace as the final countdown to Christmas gets under way. 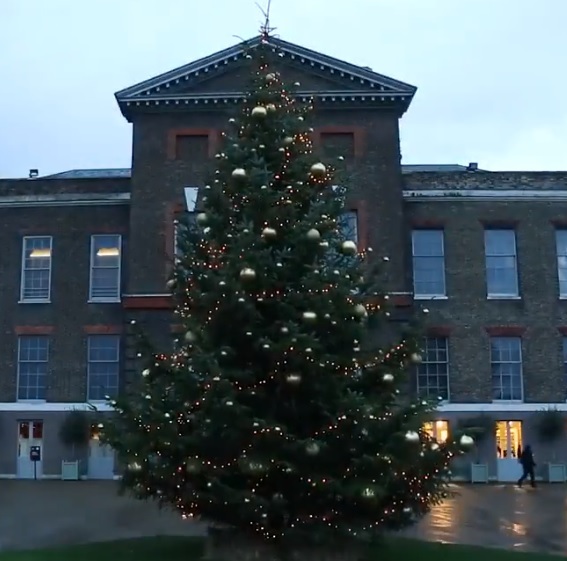 The trees are trimmed, the baubles are up and the most famous royal residence around is ready for its festive close up. It's the star of all the royal Christmas trees, the one to really marvel at. The tree at Windsor Castle shines and sparkles like no other and this year is no exception. 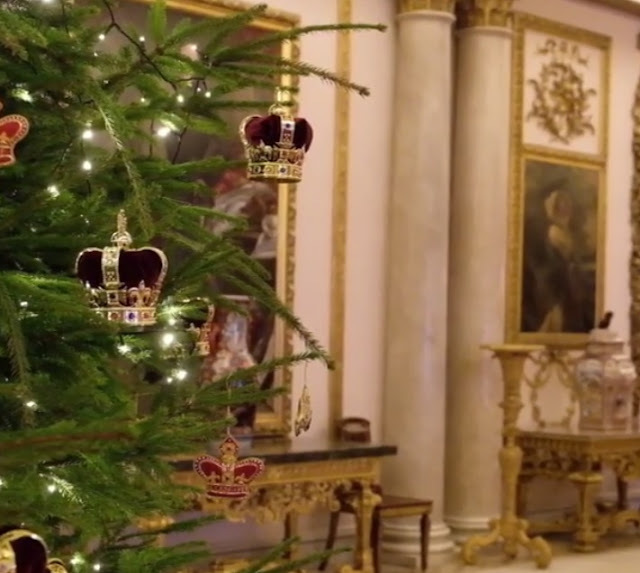 Welcome to the most glittering of all the Queen's Christmas trees. It might be more closely associated with other members of her Royal Family right now, but Kensington Palace can still lay claim to links with the Queen. And to keep in the spirit of the festive trees and garlands decking her other regal homes, the tree at KP is well and truly sparkling. 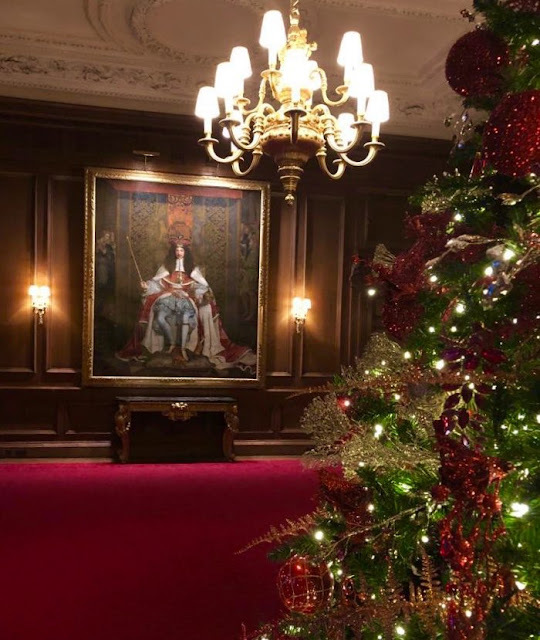 Regal red dominates this year's Christmas decorations at Holyroodhouse Palace. The Queen's official home in Scotland has been decked with trees and garlands dominated by scarlet as the festive season gets under way. 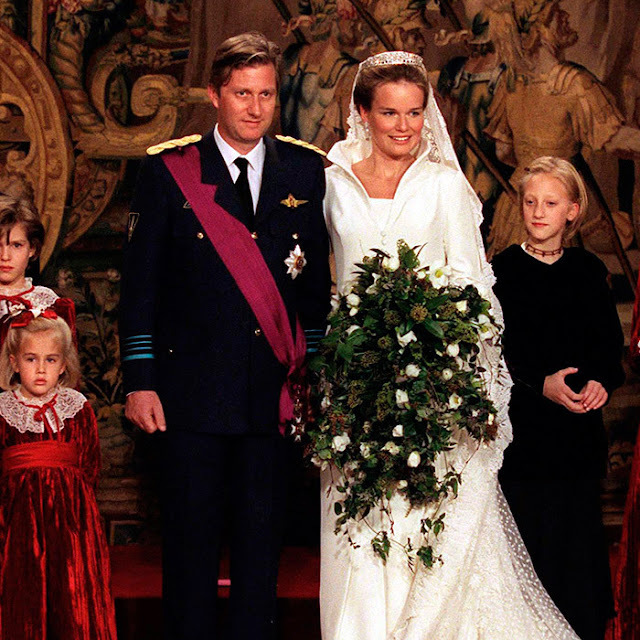 When Mathilde d'Udekem d'Acoz married Philippe of Belgium on December 4th 1999, she didn't just bag herself a king in waiting, she also set a new world record for biggest ever bridal bouquet. It still stands. This isn't a posy, it's a forest and the poor woman must have had biceps to die for after spending a day lugging that thing about. 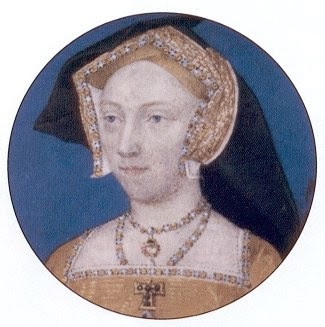 Christmas 1166 was one to celebrate for one of England's most celebrated queens. 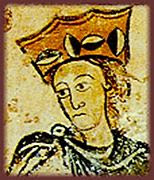 Eleanor of Aquitaine was at the height of her powers, one of the most important people in Europe with political influence and cultural kudos that few could match. And as the festive season got under way, she also had a very personal reason to celebrate. For on Christmas Eve 1166, Eleanor gave birth to a son. Let's face it, December is a tricky one for weddings. While it's all very well dreaming of adding the festive red to the dreamy white of a wedding or entertaining guests to a party in front of an open log fire, the fact is that Christmas just well and truly gets in the way. Not only have you got to contend with the big day itself, there are all the Christmas parties, family visits and last minute shopping trips that are likely to mean getting your guests to commit to a date in December is going to be a big ask and then some. 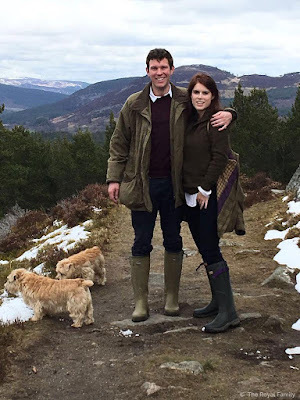 So it's perhaps no surprise that of the three modern royal brides who have said 'I do' in December, two of them were going for the low key approach. 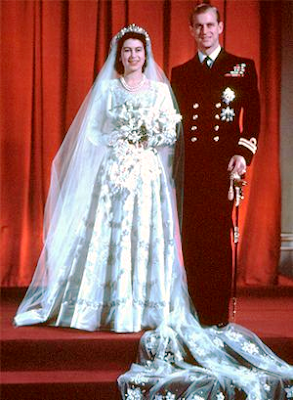 The other was the star of the last major royal wedding of the 20th century. Clearly, the save the date cards went out early on that one. Here are three royal brides for December. The countdown to Christmas is under way. 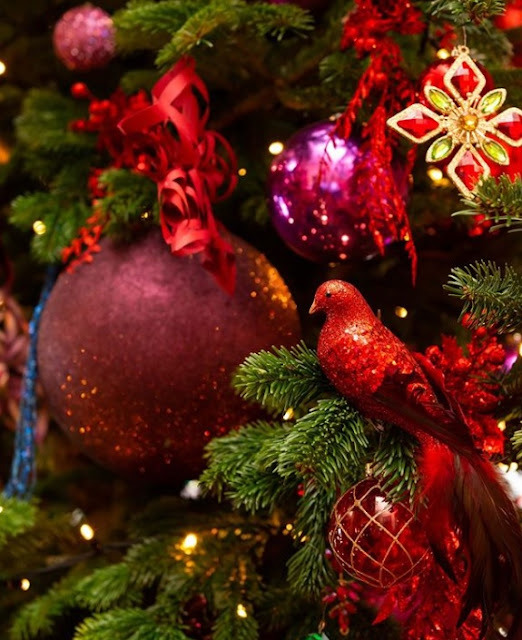 The bells are jingling, the tinsel is tinseling and it's time to get festive. Yes, there will be sparkle and season's greetings and plenty of royal Christmas trees here over the coming weeks but there's also going to be a December special. I called this blog 'Queens of England' because I am totally fascinated by the amazing women who have held that role. 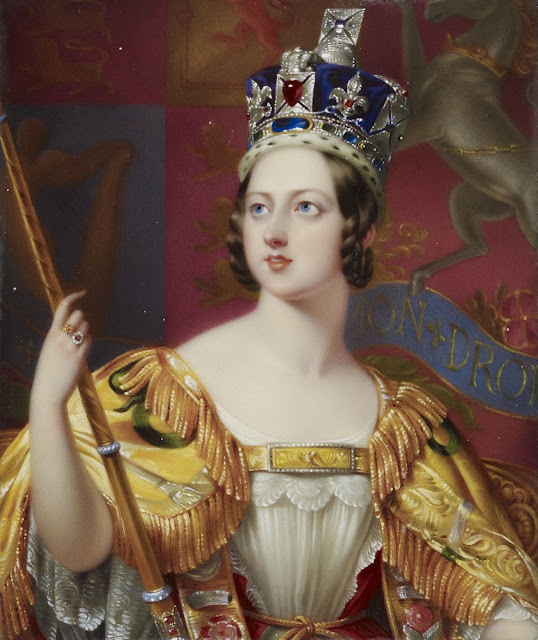 So in the run up to Christmas, every day will focus on a festive season that was special or stand out for a Queen of England. And first of all, it's the present Queen and the day she made history by broadcasting to the nation on TV. George H. W. Bush, the 41st President of the United States of America, has died. He was 94. President Bush was in charge of the White House between 1989 and 1993 and also served as Vice President to Ronald Reagan between 1981 and 1989. And during his time in office, as you would expect, he had plenty of brushes with royalty. 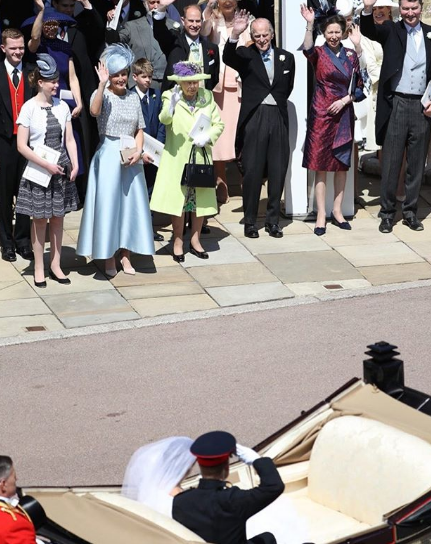 The man now being remembered for his diplomacy, strength of character and determination spent years at the highest levels of power and during that time, entertained the Queen and her family several times. 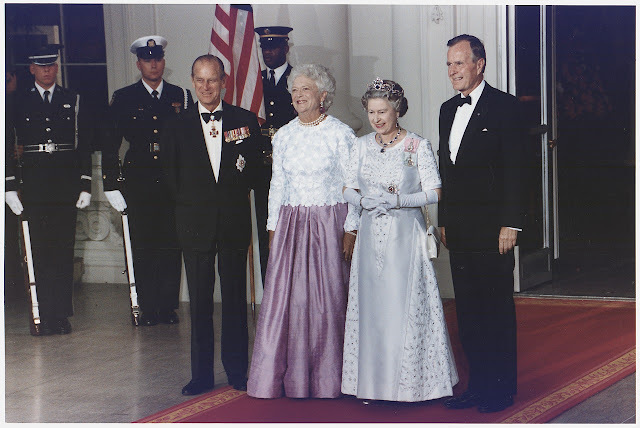 Here's a look back at some of President Bush Senior's most famous meetings with the House of Windsor. November isn't overladen with royal weddings but among them is one of the most historic royal of them all. For this is the month in which the Queen and the Duke of Edinburgh celebrate their wedding anniversary. The longest marriage in British royal history began on a cold November day in 1947 and over seven decades later it's still being celebrated. The sparkle and joy of that event is among those remembered here as we look at three royal brides for November. 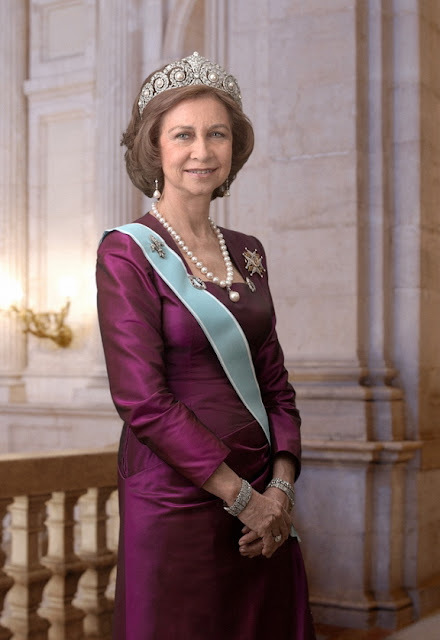 Sofia, Queen of Spain, is 80 today. Daughter, sister, wife and mother of kings, she is far more than a sidekick in the royal story. For Sofia has reshaped the concept of royalty in her own way and contributed to some of the biggest events in the 20th and 21st century. And through sunshine and showers, she has remained ever popular, ever admired, ever respected. Sofia is a great queen of the modern age. Victoria is about to reign supreme at the royal residence she called home for decades. 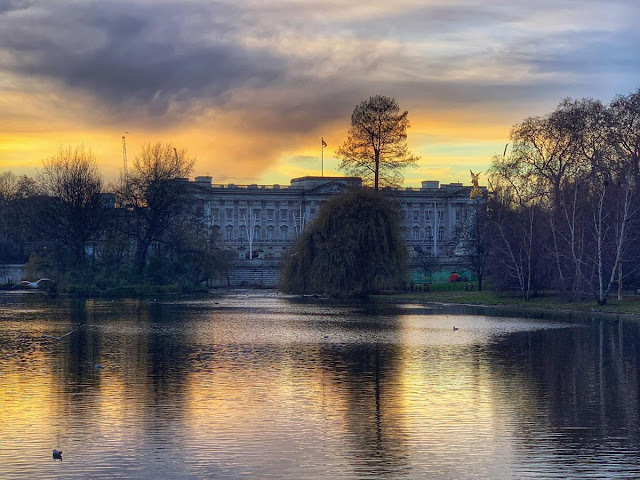 Details of next year's summer opening at Buckingham Palace have just been revealed and in 2019, its set piece exhibition will be all about Victoria. July isn't nearly as popular for royal birthdays right now as some of the earlier months of the year (April and June. we're looking at you). But there are plenty of high profile names marking their big days in July. Here are the names you need to put on the royal birthday card list for the month ahead. July is made for weddings. 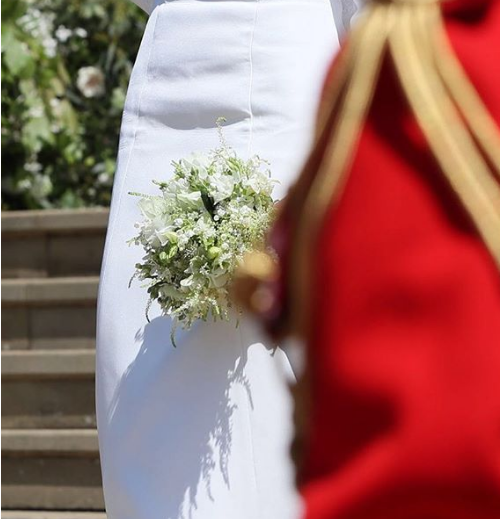 It's a sun filled, flower filled, glow without even trying kind of month but it's not overly popular for royal brides - perhaps because of the heat, perhaps because the royal courts are starting to wind down for the summer and finding a date when everyone's not on holiday can be hard. 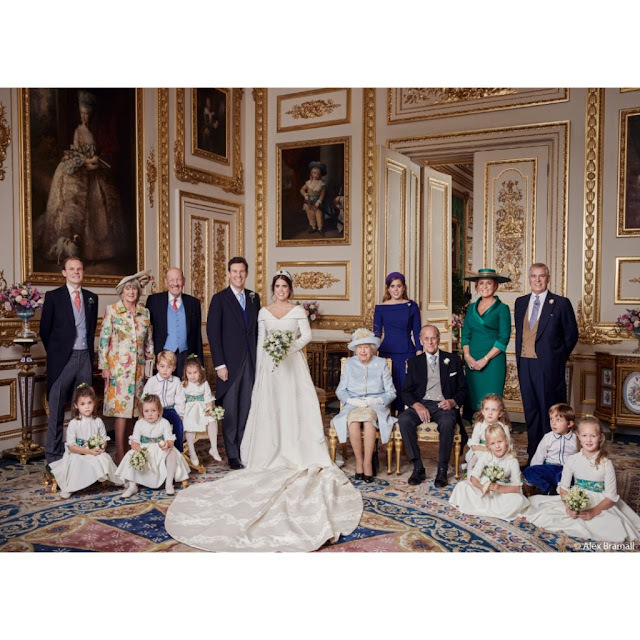 But some of the royal weddings that have taken place in this month are among the most famous in modern royal history - here are five royal brides for July. 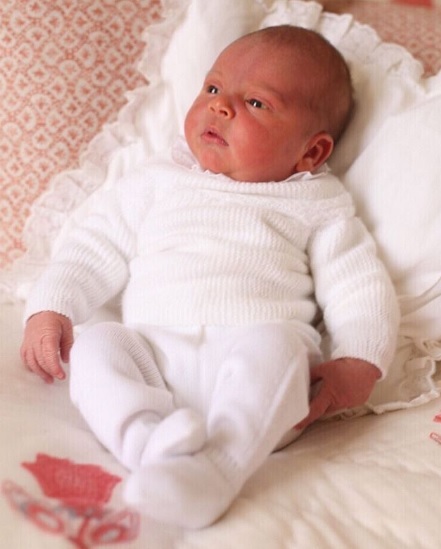 Prince Louis of Cambridge will be christened on July 9th 2018. The ceremony will take place at St. James' Palace, in the Chapel Royal, where his big brother, Prince George, was baptised. 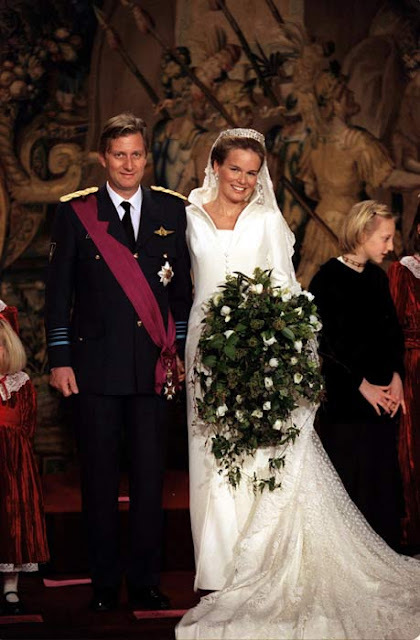 Everyone loves a June bride and in Sweden it's hard to find a royal wedding that hasn't taken place in this summer month. 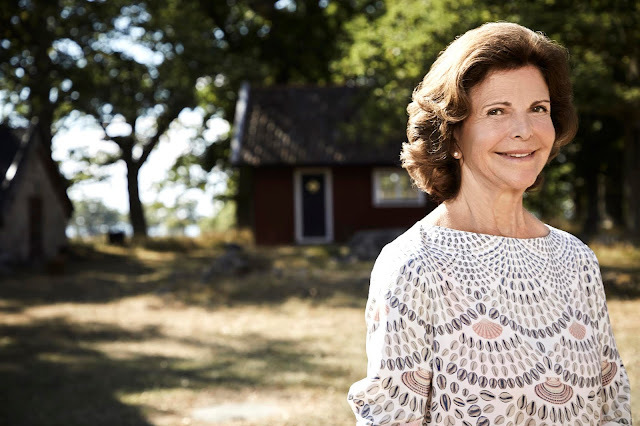 King Carl XVI Gustaf and Queen Silvia chose a June date for their marriage in 1976 and all three of their children followed suit. Three of the king's sisters said 'I do' on a day in June while his grandparents, Gustaf Adolf and Margaret, also married in the month. 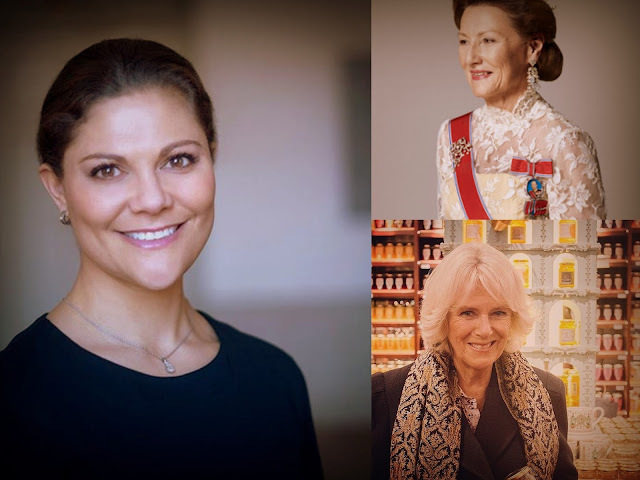 Here are Sweden's June royal brides. Like every royal wedding gown, the once worn by Sofia Hellqvist three years ago today as she became a princess, was eagerly anticipated. And the bride have us a modern twist on traditional royal with enough stand out moments to make it her own. 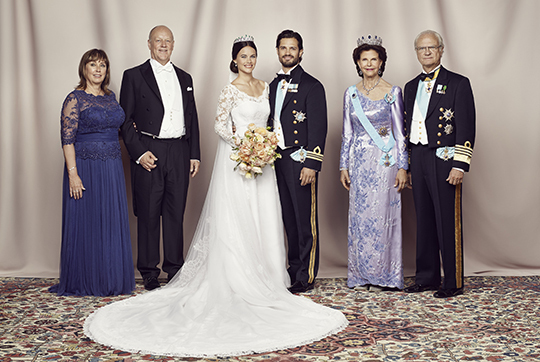 As Sofia and Carl Philip celebrate their anniversary with their sons, let's enjoy that dreamy dress once more. It's one of the most famous blue wedding dresses in the world even it's usually seen in black and white. 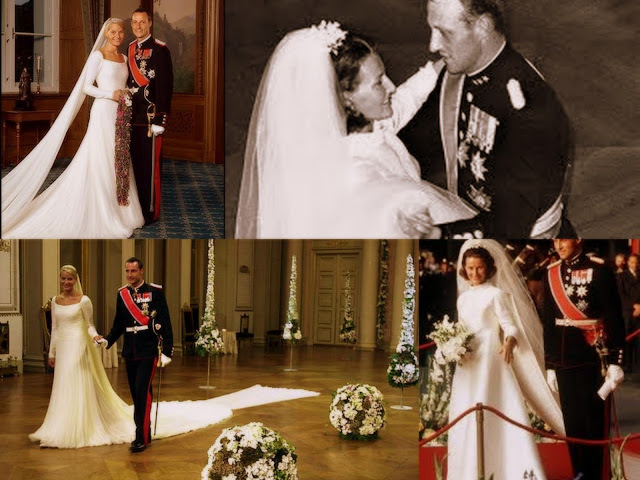 It's about as well known as a royal wedding gown gets even though it was worn to a ceremony that took place behind closed doors and which was recorded for posterity in a brief photo session in the hot French sun later on. 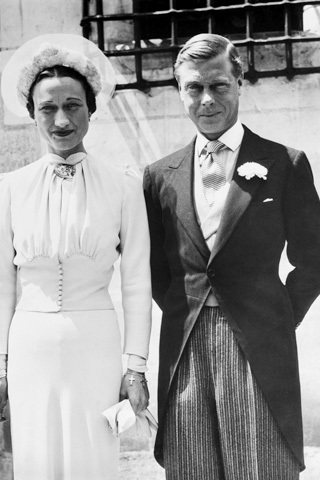 Yet the dress worn by Wallis Warfield Simpson at her wedding to Edward, Duke of Windsor has a place in royal history all of its own. This is the gown worn to the wedding that changed the House of Windsor, and royalty, forever. 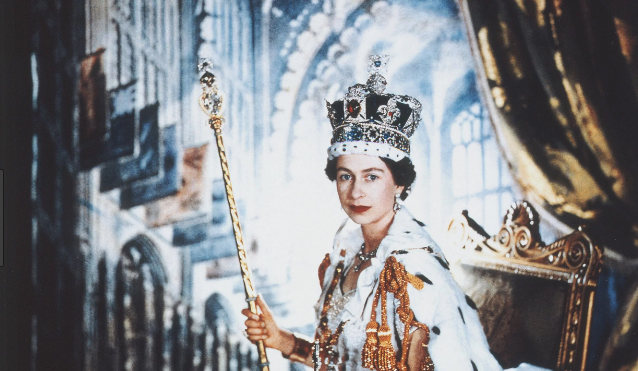 Sixty five years ago today, Elizabeth II was crowned Queen. Her coronation, at Westminster Abbey on June 2nd 1953, was seen as the start of a new Elizabethan era despite the rain that drenched London that day. The young monarch with her consort starred in a sparkling show that was watched by millions on television for the first time while hundreds of thousands lined every part of the procession route and see history being made. Sixty five years on, the images remain as iconic as ever. To mark this special anniversary, here are some of the photos that tell the story of the Queen's Coronation. 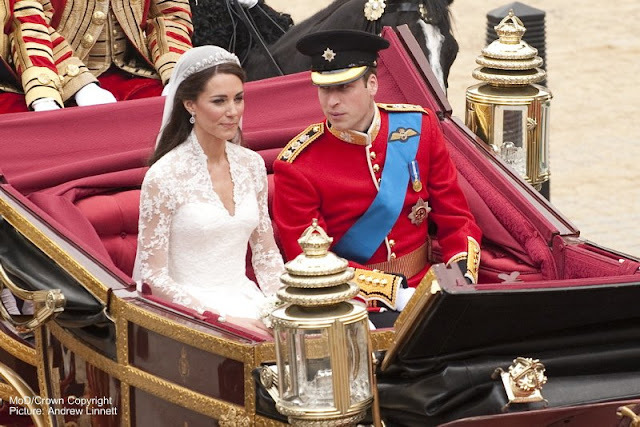 June is always a pretty popular month for weddings and that's just as true for royalty as for the rest of us. 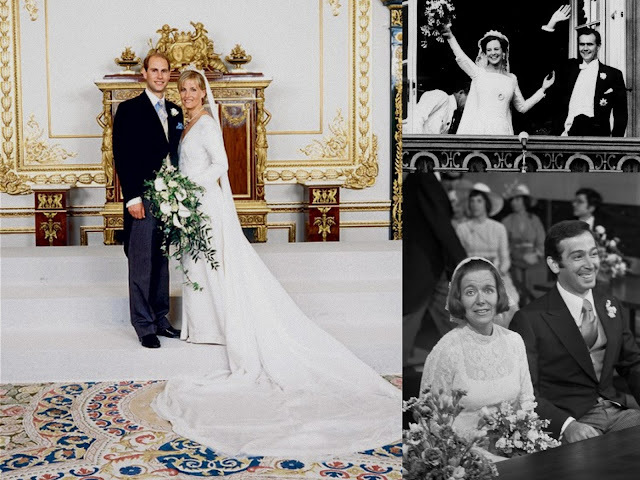 Putting aside the Royal House of Sweden, where weddings are rarely held in any other month (lots more on that soon), there are plenty of other regal marriages that have taken place in this sunny, happy month. 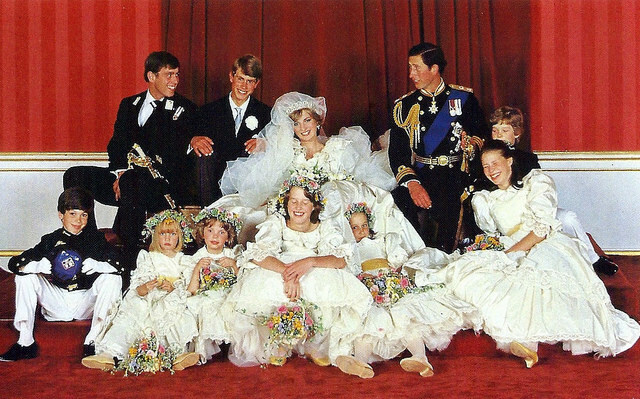 Here are eight royal brides for June. If you can't have two wedding dresses when you're a royal bride then there's no hope for the rest of us. 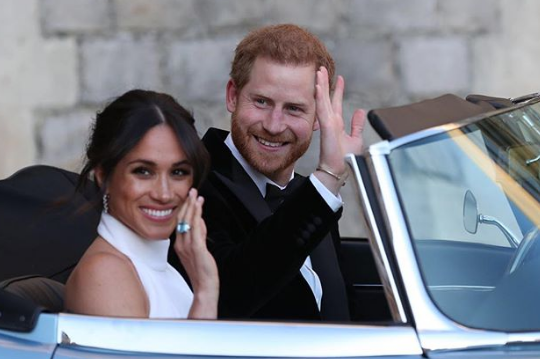 The Duchess of Sussex scored her second style hit of the day as she left Windsor Castle for her evening reception at Frogmore House in a full length gown by Stella McCartney. Meet the royal who brought sunshine to the family. 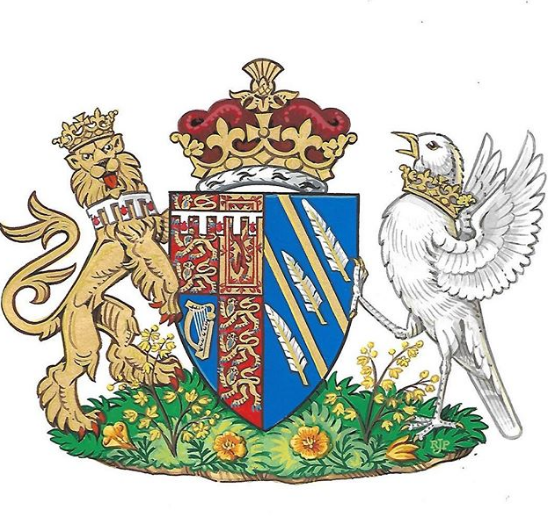 The Duchess of Sussex has her own coat of arms, approved by the Queen, and it's filled with references to a life that now takes on a regal chapter. You can't have a royal wedding without royal guests. Well, you can but it kind of takes the edge off it a bit. 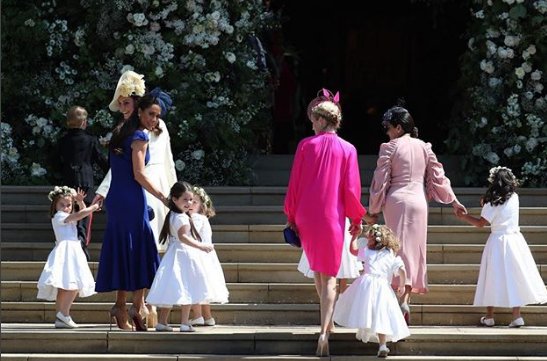 That was never going to be a worry at Harry and Meghan's marriage as the House of Windsor turned out in force to celebrate alongside them. And very jolly they all looked, too. As we soak up yet more wedding fever, here's a look at the royal guests at the wedding of the year. Meghan Markle made no secret of her love of flowers. 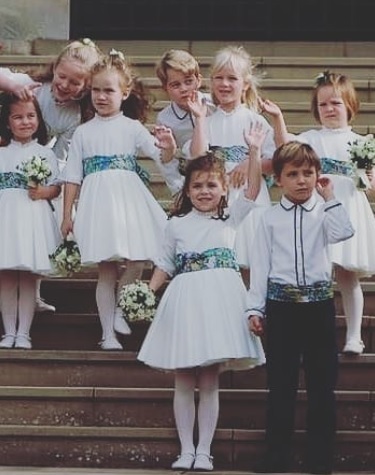 While her lifestyle blog, The Tig, was up and running she often posted pictures of blooms and posies so the floral displays at this royal wedding were always going to be rather special. The bride let us know beforehand which flowers she wanted to include in her big day with London florist, Philippa Craddock, chosen to mastermind the displays. 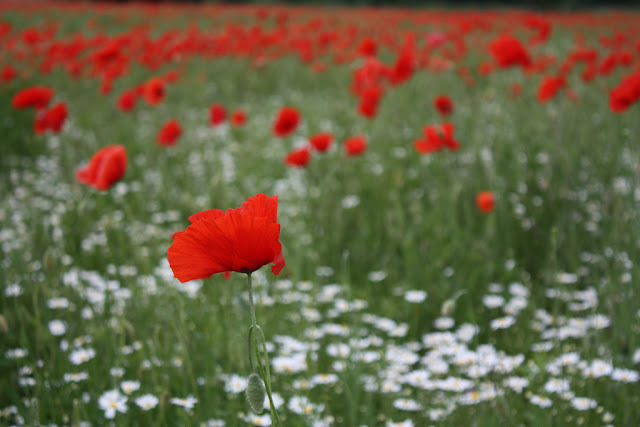 The result was blooming marvellous. A diamond debut for the newest duchess in town. Before her royal wedding everyone wanted to know whether Meghan Markle would wear a tiara and, if so, which one. And this royal bride with her own sense of style did what she does best and surprised us all. After months of talk about Strathmore Roses and Cartier Bandeaus, the Duchess of Sussex went art deco retro with a diamond diadem from the hidden depths of Queen Mary's collection. 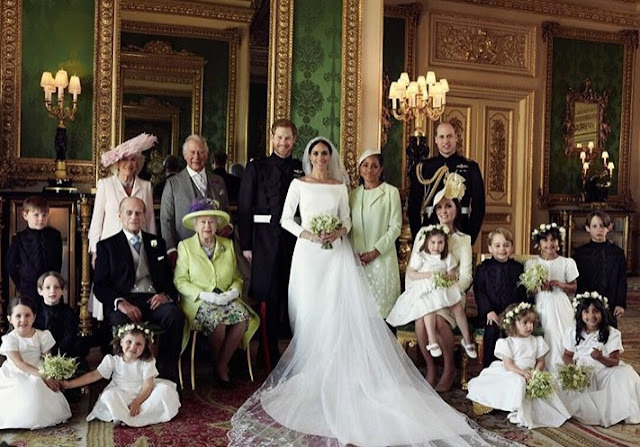 The Duchess of Sussex went simple and classic for her royal wedding dress and scored a huge hit while she was at it. 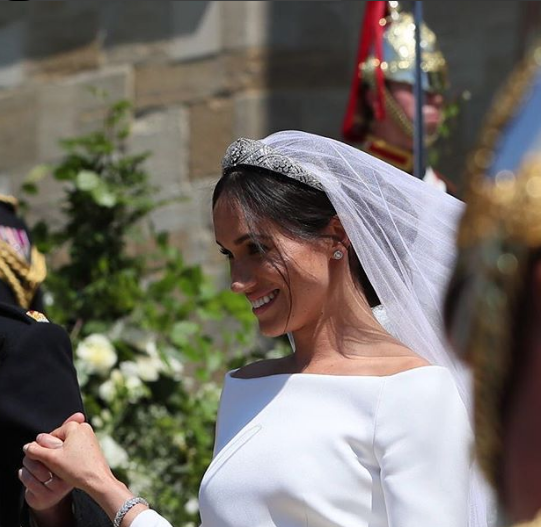 Meghan Markle walked away from the Windsor tradition of adding all kinds of embellishments to her actual gown and ended up with a magical modern style moment. There was plenty of symbolism on the veil she chose but her gown was all about bridal and turned into a stunning success. 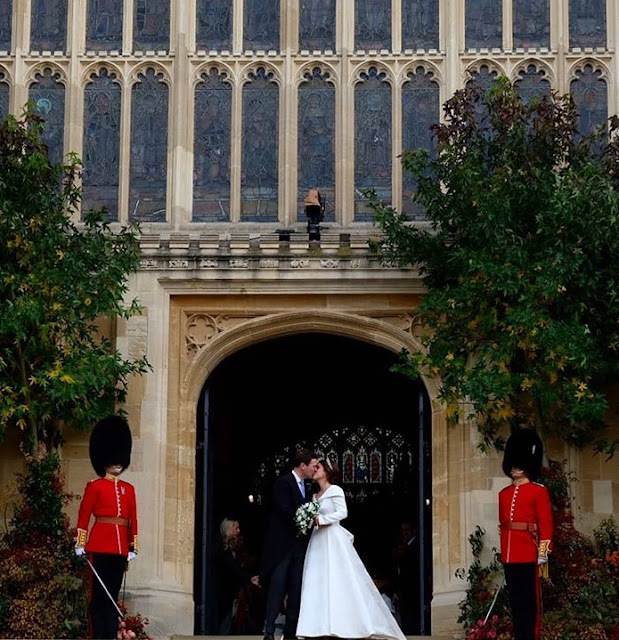 The official royal wedding photos are here and they are gorgeous. 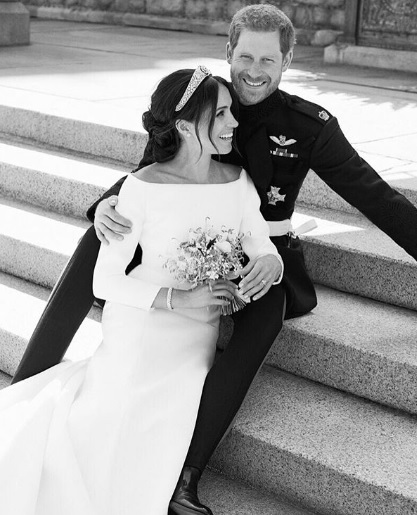 The Duke and Duchess of Sussex have shared three formal portraits, taken by Alexis Lubomirski, of their special day. And they are rather special themselves. 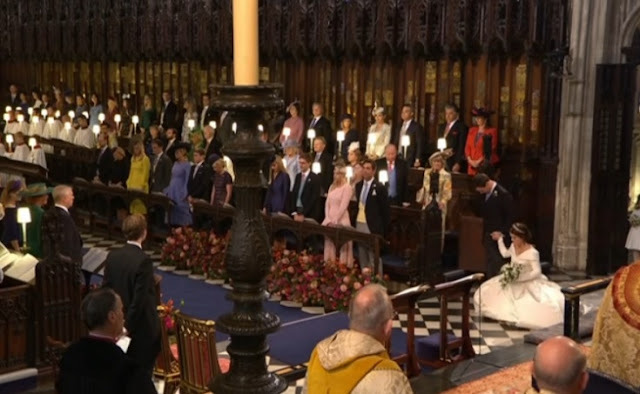 The Duke and Duchess of Sussex have married in an intimate ceremony at St. George's Chapel, Windsor. 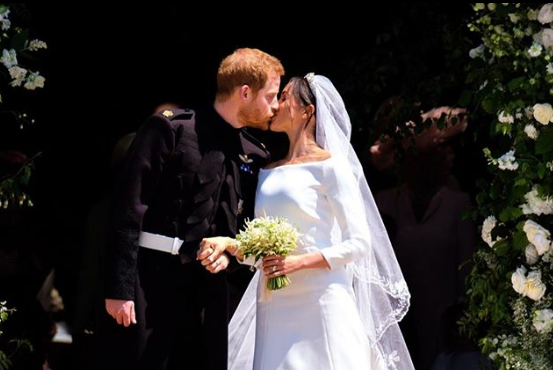 Prince Harry and Meghan Markle said 'I do' just after noon on Saturday May 19th 2018. Here are some of the best images of their very special wedding service. 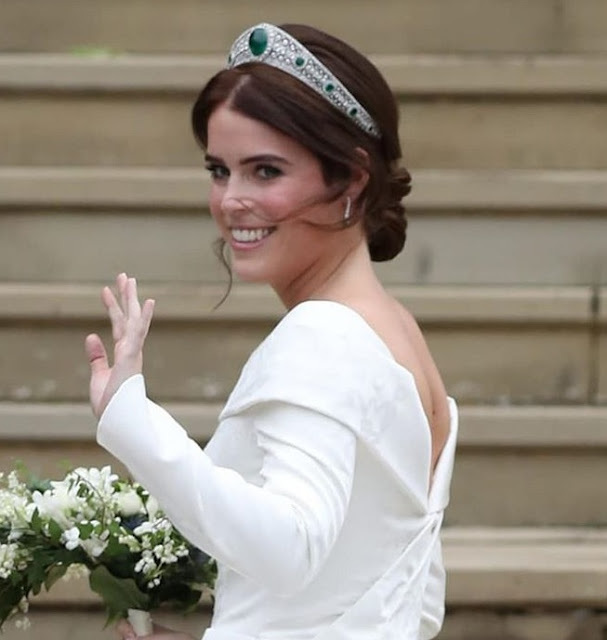 Something old, something new, something borrowed....Kate Middleton managed to trump the entire world with her something borrowed as she took loan of a sparkling diamond tiara that is very much a part of the modern House of Windsor and made it her own. On the day that Catherine Elizabeth Middleton became HRH The Duchess of Cambridge she wore the Cartier Halo tiara, borrowed from her new husband's granny. That really takes some beating. It's been a Windsor tradition from almost the moment that the ruling house came into existence but will Prince Harry and Meghan Markle follow it? For almost 100 years, every senior royal bride of the House of Windsor has worn a wedding ring made from Welsh gold. 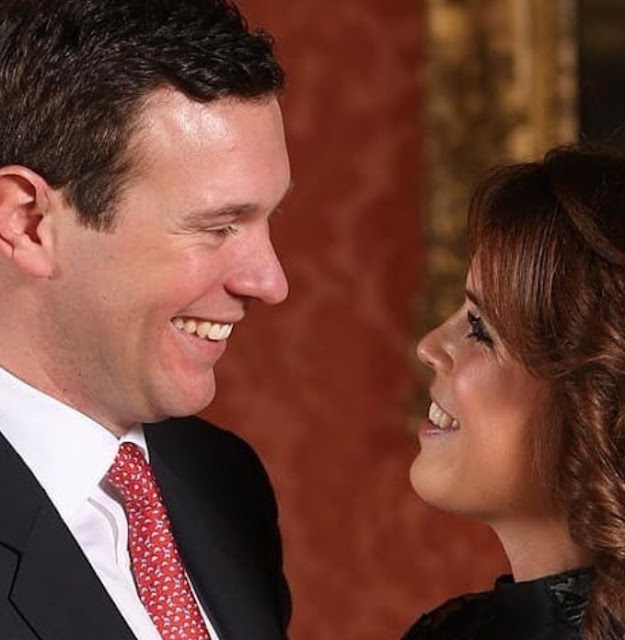 As speculation over every part of the Royal Wedding continues, here's a look at how Welsh gold came to be such a major part of Windsor marriages.